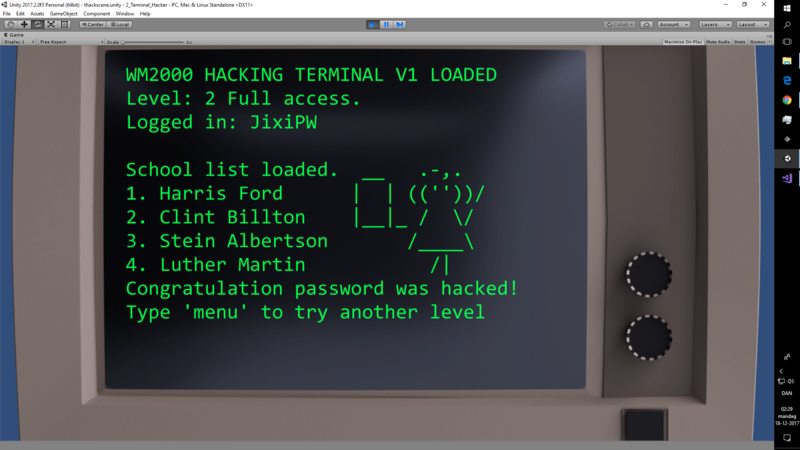 Original work is from the course Compleate Unity Developer 2.0 by Ben Tristem & Rick Davidson. 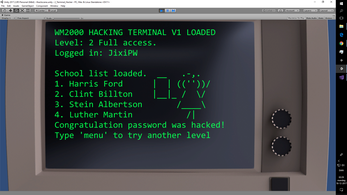 The game was part of the lession and the original version was named Terminal Hacker. This is a new variation of the game. I will be updating the game as my programming skill improve.